Babar exudes a playful, sophisticated air that belies its technical complexity and functional breadth. 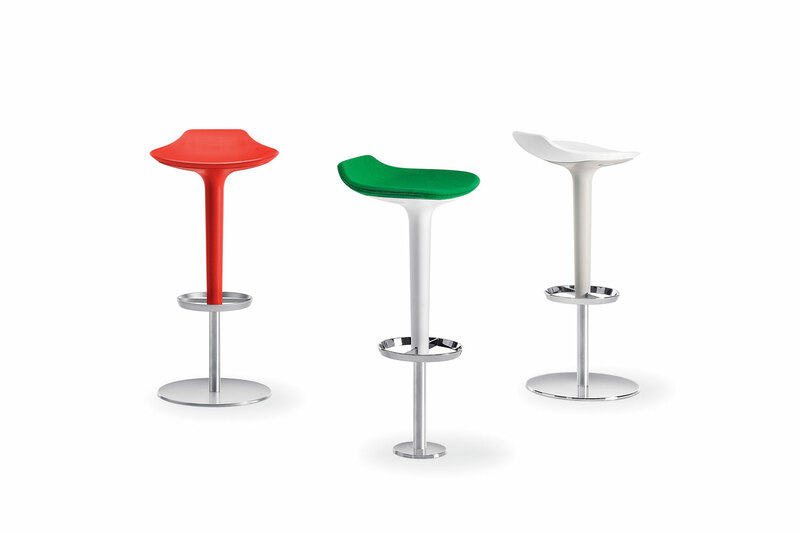 Its simple, almost intuitive form comprises a fixed or rotating polyurethane seat available with padded cushion in one- and two-colour options. 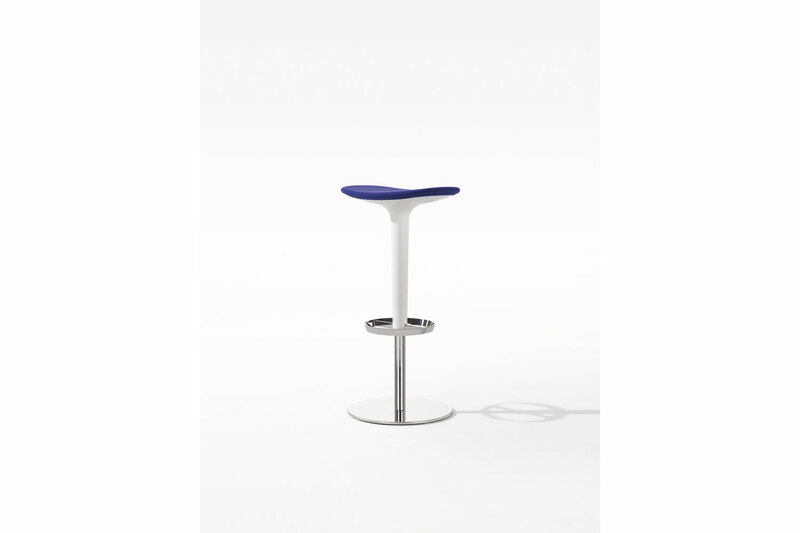 The upholstered version comes in fabric, leather or faux-leather, with or without backrest. The Babar collection is GreenGuard certified.